Increases the capacity of available space. Ideal to store long loads. Eliminates intermediate aisles. A solution combining cantilever system (for the storage of long loads) with a mobile base (to compact shelves without losing direct access to the goods). The wheeled structure moves with integrated motors which run along rails set in the floor. These bases include a variety of control and safety systems to meet the needs of the client. 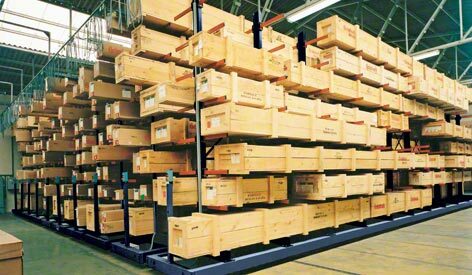 These racking are designed to store long items, as well that can be handled manually by using forklift or other appropriate lifting systems.